It was a good time to be a Kirby fan. 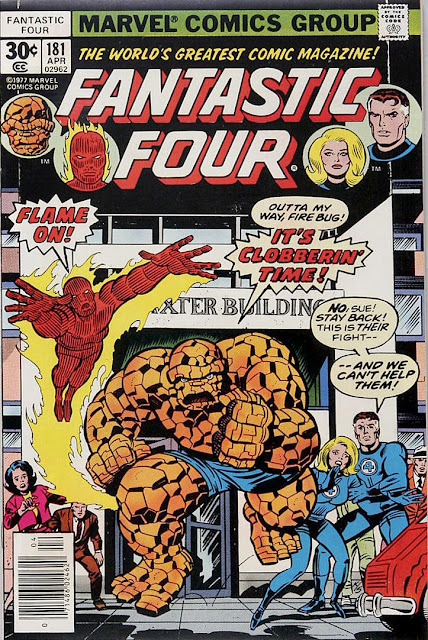 Two more Kirby-covered comics hit the shops bringing his total for 1977 to nine. 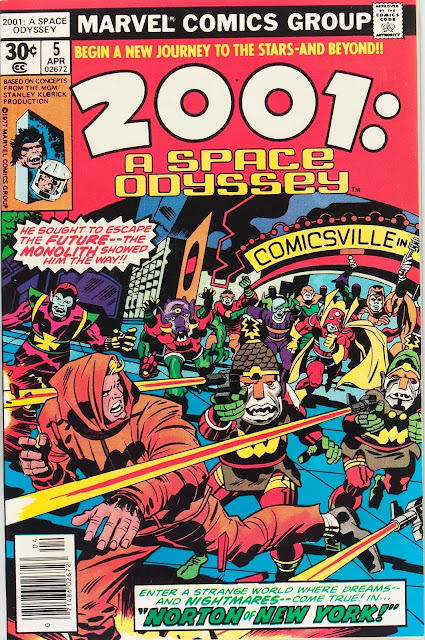 This one also had 17 interior pages written and drawn by Kirby increasing his 1977 total to 51 pages. The Thing shows how far Kirby and Sinnott had wandered from being in synch with each other. Sinnott had adapted to styles like John Buscema and Buckler (who, though he was copying Kirby, most definitely WASN'T Kirby). It looks great, but doesn't look much like Kirby.